Is your organization facing communication challenges, employee turnover, or performance issues? If so, your leaders may lack the foundational skills necessary to succeed. Whether it’s a first-time manager struggling with holding staff accountable or a seasoned VP who wants to elevate and grow his/her team, our integrated program of training/coaching delivers the tools needed to create positive, lasting change. 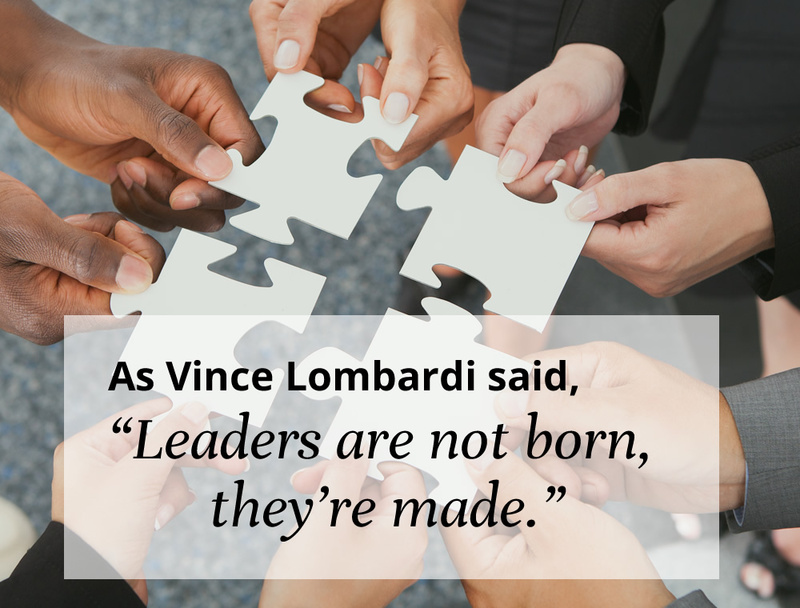 "Leaders aren’t born they are made. And they are made just like anything else, through hard work." By building a foundation on communication, self-awareness and relationship management, we are able to explore more concrete skills like accountability, delegation, conflict resolution and problem solving. Sessions are interactive and experiential and make abstract concepts accessible and actionable. CONNECT TODAY to learn how MER Leadership Design can bring your organization closer to lasting success.